Nowadays most of the small and medium company using third-party mailing services for the work. We developed Gmail Clone service and it’s perfect for people who need independent of their work. We provides webmail and chat option for all business. In the same page, the user will get all mail operation functions such as Inbox, spam, draft, compose and more on without page reloading.This Script has similar functionalities like Gmail, Yahoo, and Outlook. The user can perform the following option in our script such as search, view, and compose from anywhere and anytime.Each user can connect with the instant message system ad group chat option. 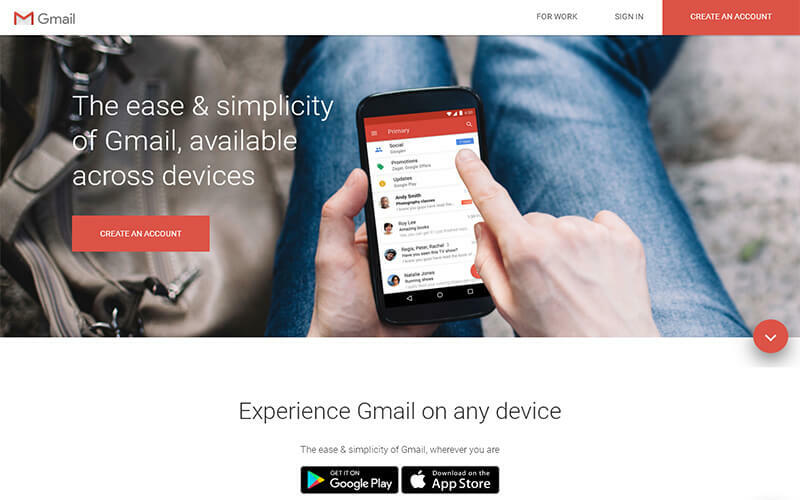 We provide Open source Gmail Script with fast, and secure with the attractive user interface which makes that users easy to access mail and contacts. This script allows users to access all the integrated service through a single login/registration process. In the Inbox and starred all the mails displayed one by one with the date and the user can sort by the latest. The search option is also available on the top of the site. The user can delete, delete all, mark all as read, and refresh is available in the script. This script display 50 emails in a page and below it has go to the next page, previous page, and all jump pages. The advanced features of our Yahoo Clone Script are send and receive email, search option, responsive design, secure coding, draft option, notification, forward and achieve option, filter option, difference between read and unread mails, CC and BCC option, user can block unwanted mail id, spam option, different theme option, feedback option, unlimited user and more on.The main features of our Gmail clone are unlimited mail accounts, chat option, advanced content management.Without any technical knowledge, the admin can easily handle and manage the script. This script is easy to install and integrate and maintain. Our script offers fast ways to find the information. Our Outlook Clone Script platform is highly expandable and customizable which helps the clients to modify the scripts according to their requirements and business goals. The user interface of our Gmail Script is very attractive and the code of the Outlook Script is developed according to the Google algorithm, so it’s is 100% safe from malware and hackers.The revenue models of our Yahoo clone arebanner advertisements, Google ad sense, and other commission-based revenue model. Apart from these, we provide 1-year technical support, 6 month free updates of the source code, and brand free and after purchasing the Yahoo Script the entire code will be delivered within 24 hours.